A New Leaf Tree Service wants your business and tries to give you as many options as possible regarding payment for our services. 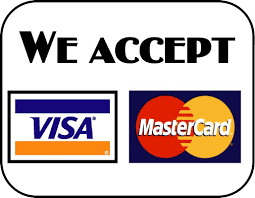 We currently accept VISA, MASTERCARD, check, or cash. We require no down payment, but payment (unless otherwise noted) must be paid in full upon completion of the work. Of course, prompt payment is always appreciated. We have a minimum service charge of $200.00 (work must add up to this amount) in order for us to come out to do work. In extreme cases, we are open to discussing a payment plan for payment of the tree work. We have done this in the past, without any problems. Due to past requests, Gift certificates are now available. Contact us for more information. They are basically available in any denomination, keeping in mind that any work done has to total at least our minimum service charge (doesn’t mean the gift certificate has to add up to the minimum charge).